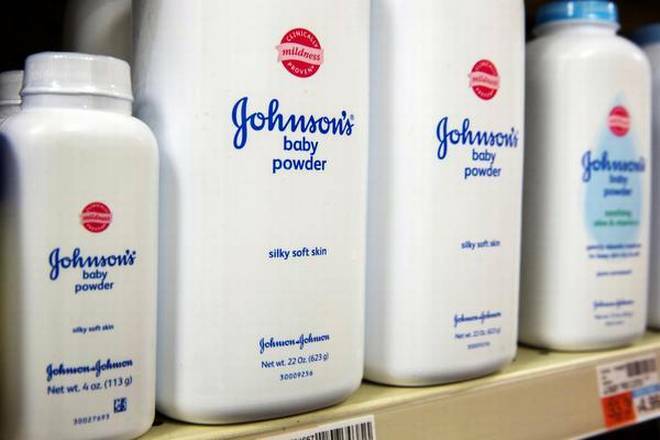 A Missouri jury on Thursday ordered Johnson & Johnson (J&J) to pay a record $4.69 billion to 22 women who alleged that the company’s talc-based products, including its baby powder, contain asbestos and caused them to develop ovarian cancer. The company is battling some 9,000 talc cases. It has denied both that its talc products cause cancer and that they ever contained asbestos. It says decades of studies show its talc to be safe and has successfully overturned previous talc verdicts on technical legal grounds. Thursday’s massive verdict, handed down in the Circuit Court of the City of St. Louis, comprises $550 million in compensatory damages and $4.14 billion in punitive damages, according to an online broadcast of the trial by Courtroom View Network. J&J shares fell $1.31, or 1%, to $126.45 in after-hours trading following the punitive damages award. They had risen $1.52 during regular trading. “Johnson & Johnson is deeply disappointed by the verdict, which was the product of a fundamentally unfair process,” the company said in a statement. It remained confident that its products do not contain asbestos or cause cancer. “Every verdict against Johnson & Johnson in this court that has gone through the appeals process has been reversed and the multiple errors present in this trial were worse than those in the prior trials which have been reversed,” J&J said, adding that that it would pursue all available appellate remedies. “If J&J insists on continuing to sell talc, they should mark it with a serious warning,” he said.